The photos look like the breads might be tasty!!!!!! 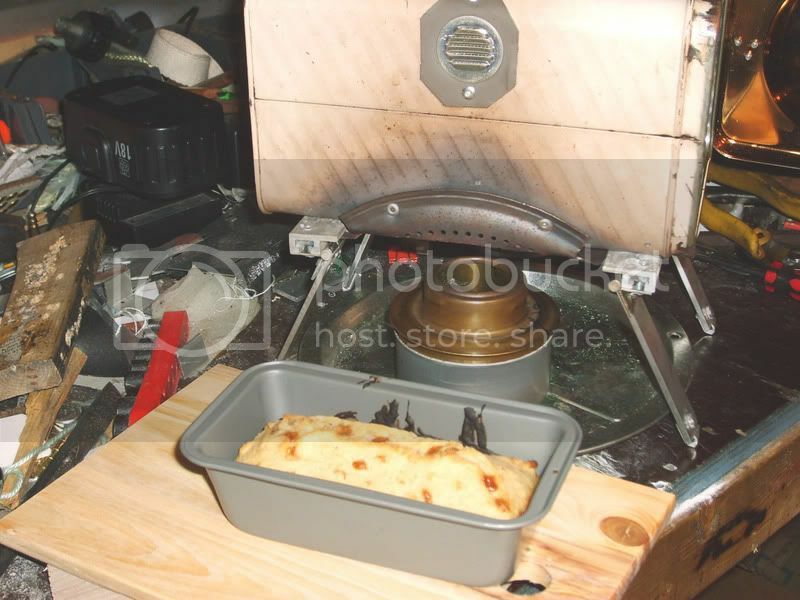 Anybody out there make "Scones"
Zelph, I have not done much backing with the alcohol stove but it is on the backburner. I am still trying to find the right components to make a copy of the astronomically priced "Optimus mini oven". The link you listed looks yummy. Here is a link that might peek your interest. Includeds recipes and alky stove simmering technology. Enjoy! Ridgerunner wrote: Zelph, I have not done much backing with the alcohol stove but it is on the backburner. I am still trying to find the right components to make a copy of the astronomically priced "Optimus mini oven". The link you listed looks yummy. Here is a link that might peek your interest. Includeds recipes and alky stove simmering technology. Enjoy! Hey, those look yummy also. I'll search Optimus Mini Oven. He is in his 70's and pretty much car camps and canoe camps these days but still loves to bake in the thing. Looks like a bunt pan. Maybe a pie pan would work for a lid. The problem is finding the shaped heat shield for the bottom to fit the bottom of the bunt pan. Three pieces of metal, no moving or high dollar parts---$80 ...Go Figure. I have cooked the just add water betty crocker muffin mixes on the alcohol stove. Pretty easy. The "pan bread" website are probably just modified bannock type recipes, easily found on the web. I bake stuff with bisquick all the time basically the same idea. Ridgerunner wrote: The problem is finding the shaped heat shield for the bottom to fit the bottom of the bunt pan. Three pieces of metal, no moving or high dollar parts---$80 ...Go Figure. Does the center pan have a hole through it's center like the bottom pan? I have a 2 cup pot that might work on that principal. It's a pudding pot. 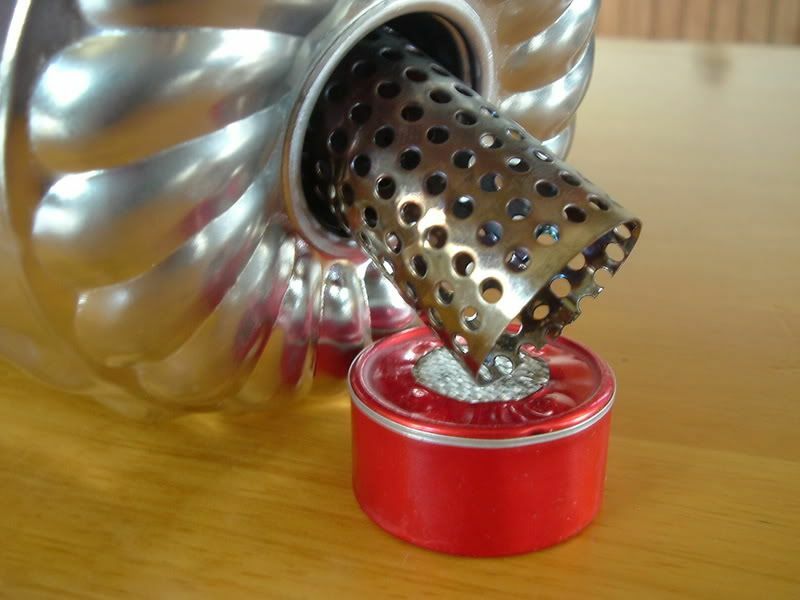 I used on the Stilletto stove. Here's a photo of the bottom pf the pudding pot. I does'nt have a hole at the top of that cavity/cone. 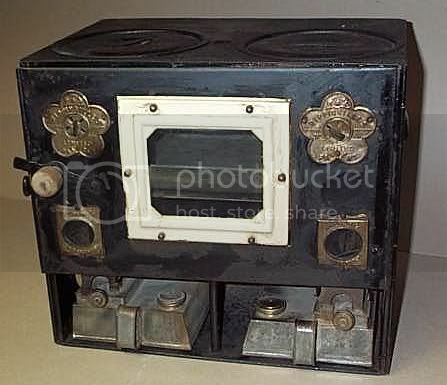 That is really niffty little stove/oven. Does the pot sit down into the cavity and rest on the iron grate? Ridgerunner, I'll look in the thrift store for the frying pan with the cone in the center. The cone has holes in it. It was a popular tv sales item 10 yrs ago. You'll remember, they are showing up now in the thrift stores, keep your eyes open. I purchase it if I can find it in the pile of pots and pans that I showed you in the thrif store movie. 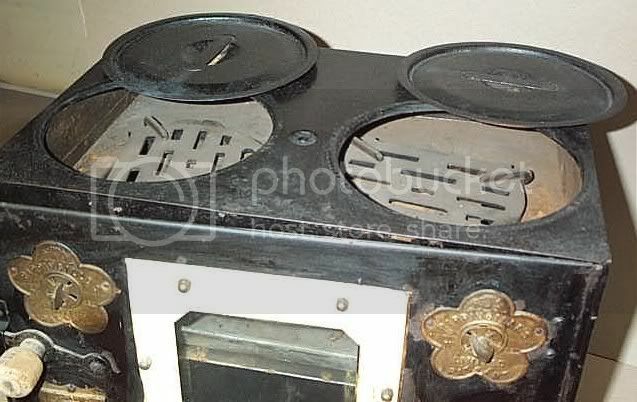 zelph wrote: That is really niffty little stove/oven. Does the pot sit down into the cavity and rest on the iron grate?